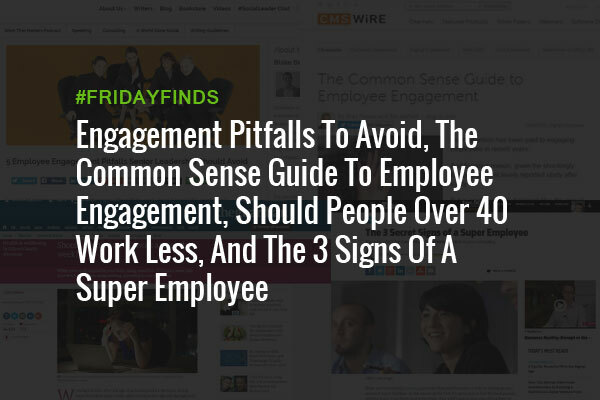 This week’s #FridayFinds edition brings you back to the basics of employee engagement. You’ll also find out how to spot top employees and why employees over 40 should be working less hours. It’s always good to circle back to the basics once in a while, especially when things aren’t going as well as they should. Not having an employee engagement strategy, having a high turnover rate or drowning employees in surveys are some of the engagement pitfalls that most workplaces experience sooner or later. 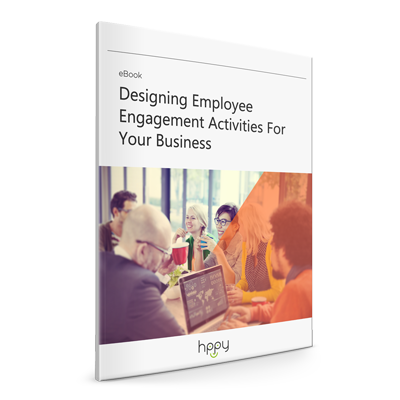 Take a look at some practical ideas to overcome these challenges and bring engagement levels back up. Speaking of improving engagement, this common sense guide can help you do just that. By consistently addressing your company’s core workplace needs at every opportunity, you can shift workplace cultures and turn employee engagement around. Flexible work is something we’re always advocating for. Providing employees with a work schedule that meets their needs and allows for maximum productivity doesn’t mean longer hours; in fact, it’s quite the opposite. This article from The Guardian cites a recent study from the Melbourne Institute of Applied Economic and Social Research showing that, while working up to 30 hours a week is good for the brains of the over-40s, any more than that causes problems. Apparently, if you were to work 60 hours a week, your cognitive ability would be worse than that of someone who didn’t work at all. Spotting talented employees may be something that comes naturally to some leaders, but for others, a little advice can go a long way. Learn how to spot the most promising employees and how to nurture your talent in order to foster company growth.